MOUNT PLEASANT, M.I. 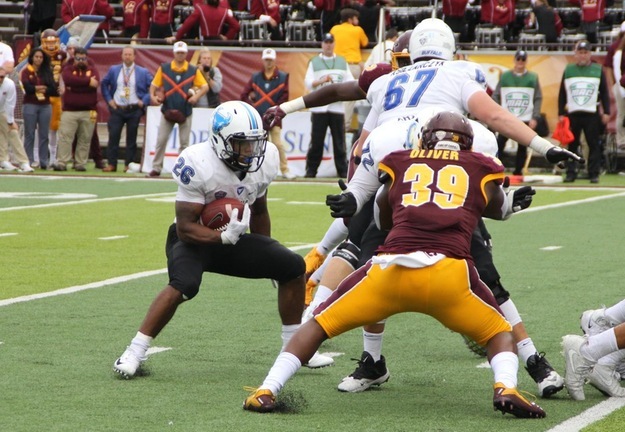 -- The University at Buffalo football team rushed for a season-high 307 yards and three touchdowns to defeat Central Michigan, 34-24, at Kelly/Shorts Stadium on Saturday afternoon. It was UB's first-ever win at Central Michigan to improve to 5-1 overall and 2-0 in Mid-American Conference play.